This is WOW News 247: Building Collapses in China: Many Feared Dead! Building Collapses in China: Many Feared Dead! Rescue work is in progress after three apartment buildings collapsed near Wenzhou, an industrial city in eastern China, leaving an unknown number of people buried in debris. The buildings were about five stories tall, local officials said, according to Xinhua. The report's headline said "many" were buried. The collapse happened around 8 am local time in the township of Baizhangji. 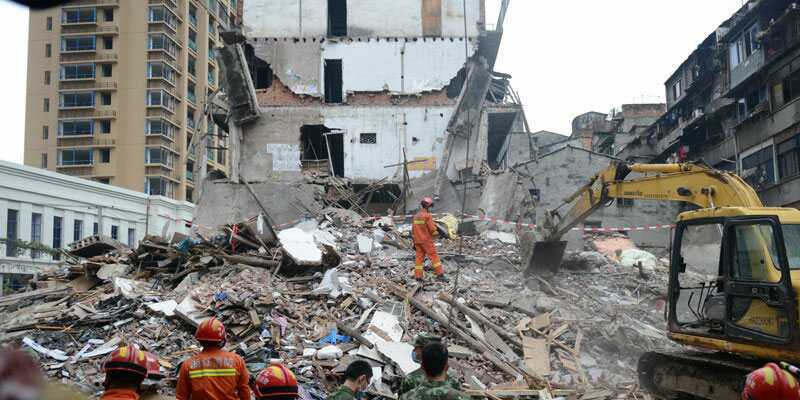 A photo posted by Xinhua on Twitter showed rescue workers using heavy equipment to clean up debris. Fire trucks were lined up next to the site, and dozens of people were shown waiting.